Straps for totes, shoppers and other shoulder bags can be supplied by Kalopsia in both a black and white weave cotton. Any alternative types must be supplied by the client. 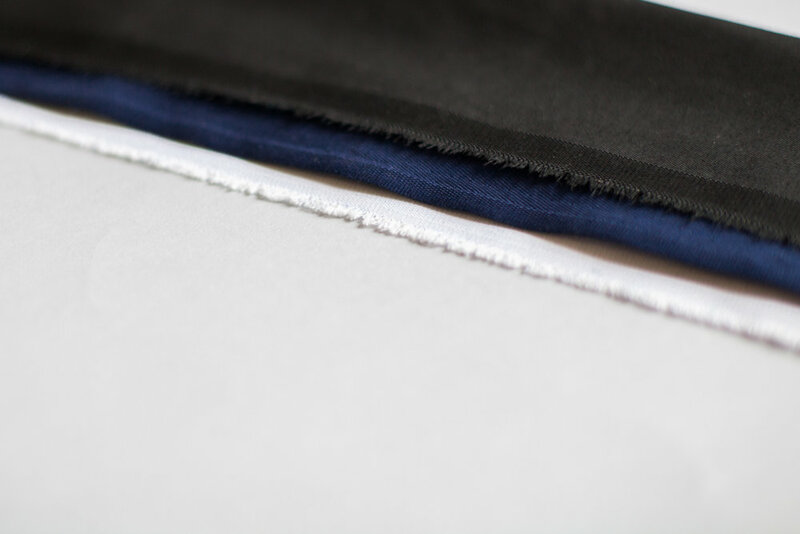 We have a choice of black, navy, grey and white poly-cotton lining (35% cotton, 65% polyester) as well as a 100% Polyester 4oz Waterproof fabric available in black (Weight 113gsm). Both linings are sourced in the UK and can be washed in 40 degrees. Gold brass zips (YKK) - can be ordered with either a white, black tape. 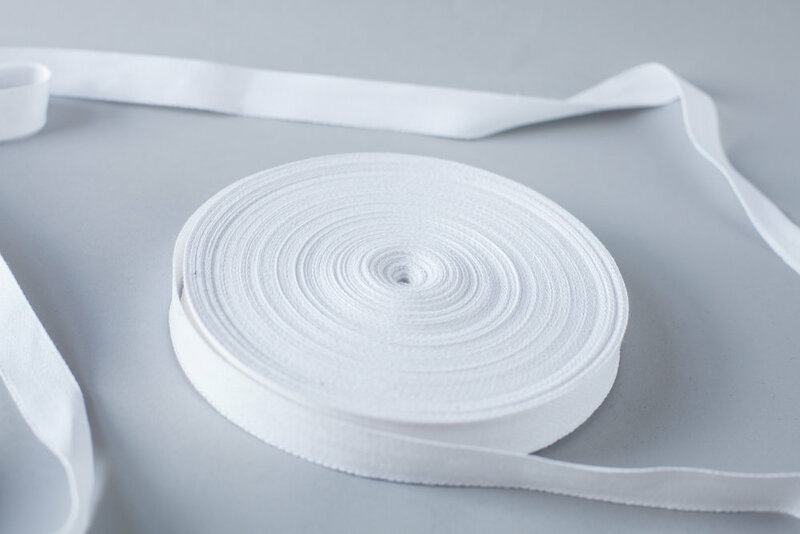 If you are looking for silver teeth or a custom tape colour, please inform us and allow an additional 3 weeks on top of our standard turnaround time. Other zips can be used if provided by the client. *Please note that any externally supplied zips must cleared with Kalopsia before production to ensure that they are suitable for the products.